The Air Assault Course is 12 days in duration and prepares Soldiers for air mobile operations. During the course students train and are evaluated on combat assault, sling loads, rappelling, physical fitness, and various other critical skills. Students are required to complete an obstacle course and two-mile run on zero day before entering the course. Prior to graduation, students must successfully complete written and hands-on examinations, sling load tests, and a 12 -mile foot march in under three hours with full combat load. 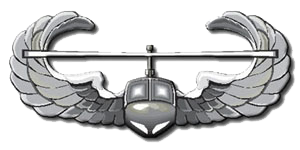 Prospective candidates are enlisted NCOs and Officers who will be involved in the conduct of Air Assault operations. Course overview, packing list, reporting instructions, and map to WTC are below. "This form is the Soldier's responsibility and must be filled out and signed by the prospective student's leadership PRIOR to in-processing in order to reduce waiting times at the in-processing table. Students without this form have 72 hours to present it or they will be removed from the course.